Earlier this year, I wrote in The Conservative Woman an article titled ‘Marx and the campus are feminism’s recruiting sergeants’. Do not be fooled into thinking the ‘campus’ element is limited purely to universities; the indoctrination is happening in secondary schools as well. 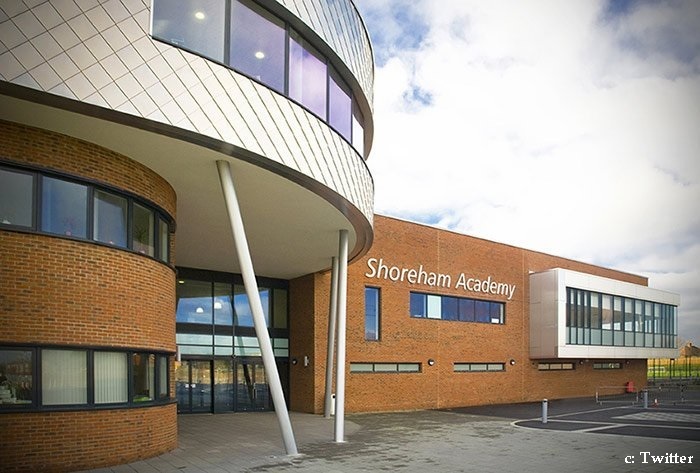 Shoreham Academy in Brighton is one such example. In the English department, students were required to write an essay on a Guardian article titled ‘Taylor Swift is tough, cool and in control. Unlike Donald Trump’. The article, for those who wish to both save themselves the horror of reading such drivel and to also deny The Guardian a click on said garbage, loosely attacks Trump for being temperamental then, rather flimsily, attempts to segue way into lauding Swift for her sassiness during a sexual assault hearing. The article ends with a panegyric on Swift’s accomplishments and how she should be the President and not Trump. I’m not joking. So, naturally, Shoreham Academy have chosen some hard-hitting, Pulitzer Prize worthy material for the students to analyse and deconstruct. No outside research was required from the students when writing this essay, they were required to simply discuss the article. This sort of behaviour is not unusual, the students have been given such articles like that one before and to such a point they have given up on pointing out the bias in it. When asked what perspective to write from, the students were advised to show how Trump was “clearly in the wrong” and how “it’s not like you would be writing about how Trump was good”; the teacher was expecting the students to naturally come to the conclusion that Trump is bad. In a recent assignment, students were tasked with reading and analysing another article in The Guardian, titled ‘Rose McGowan’s tweet suggests a poetic justice for Weinstein’s poison’; they do not yet know what question they will be expected to answer for this article but, we can make an educated guess what the theme of the question will be. The 203-word long article details how Rose McGowan “without comment … tweeted the text of William Blake’s poem A Poison Tree, a stark, mysterious work whose complex meanings McGowan may actually have done more to reveal than anyone else in modern times” and then praises her for doing so. I could understand the teacher asking the students to analyse her use of the poem and how she brings her personal story to the meaning of the poem, asking them to compare and contrast the poem on its own and then again in light of her allegations, however, the students were given The Guardian article instead to base their essays on. Rather than being given their own chance to explore their own interpretations of this poem and Rose McGowan’s use of it, the students were fed one viewpoint and then tasked with commenting on that. So, whilst no feminist ideology has been overtly pushed (yet), it’s again being promoted through cherry picking of sources. A student told me “all of my English department is feminist, for my essay it was to write about equality in schools, students were advised to write about feminism and the ‘wage gap’, there were many others writing about the stupidity of it.” They’re fed up with the ideological bias in their school and many of the students believe this article was cherry-picked for its feminist views. I am inclined to agree. 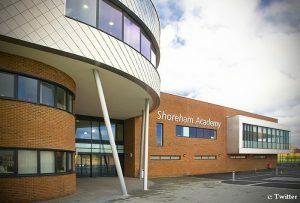 Just a few years ago, Shoreham Academy hosted a speaking competition in conjunction with the local Rotary Club where one of the main topics to discuss was feminism. The academy is saturated with feminist bias. But, one may ask, what about the reverse? Were the students provided with non- or anti-feminist articles and asked to provide commentary? Yes, they were. In an hour where students analyse and answer questions on articles, a session they have title ‘Power Hour’, the students were given yet again, a piece of complex literature to analyse. This time, they were given a Daily Mail article title ‘After 40 years my wife and I have quit the National Trust because it is pursuing an obsessively politically correct social agenda’. Before discussing this article, the teacher informed the class that it “does not represent the views of the English Department” and kept on giving the idea that this is a stereotypically bad person who is not feminist and was giving an idea that ran along the lines of ‘if you’re not feminist, you are like this person’, according to one student. Allegedly, the teachers falsely accused a student of choosing this article to analyse, who then took the teachers to a meeting in a complaint about being named as the student who recommended this article. And, just as their theory is riddled with feminism, so too is their practice. Recently, the Academy hosted an event in London’s Olympic Park for the girls to be encouraged to enter sports and to become leaders in their schools – this event did not permit boys to attend. It is part of United Learning, a national programme that unites a collection of schools from across the country to improve the life chances of the involved students. The event was part of the Academy’s ‘This Girl Can’ initiative, which also saw the girls planning events to break the United Learning record for the number of girls they could get involved and physically active. All these girls were taken out of school, missed lessons and engaged in outdoor activities. No such event was held or even offered to the male students. As teachers, they are obligated by the 1996 Education Act to not promote partisan political views, to remain impartial and to present a wide range of beliefs – teachers are supposed to teach students how to think not what to think. As it stands, eight in ten British university lecturers are left-wing, 12% of academics support right-wing or conservative parties and schools are increasingly becoming echo-chambers for left-wing views. This trend appears to also exist in Shoreham where students are force-fed feminist agitprop, expected to denounce Trump and are being told not to engage in outside research – I guess for fear the students will become self-aware and learn information outside the Overton window the academics seem intent on enforcing. This further manifests in outright discrimination, with half the population of the school being offered extra-curricular opportunities (which occur during curricular hours) whereas the other half are not. Our education system is a joke.